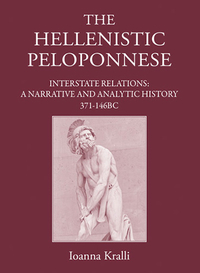 The contribution which The Hellenistic Peloponnese makes is a lengthy, detailed, and up-to-date narrative of two and a quarter centuries of Peloponnesian history, from the battle of Leuctra (371 BC) to the Roman war against the Achaian league (146 BC). Ioanna Kralli's aim, briefly stated on the first page of the introduction, is to 'solve [...] or at least clarify' the 'Peloponnesian tangle', 'to provide a framework that embraces the general political history of Peloponnesian states' (xxi). Inevitably, in an extended analysis of events like this, there are points where the interpretation offered will prompt disagreement. More problematic is Kralli's decision not to engage explicitly with the wider theoretical literature on Interstate Relations, or even studies which relate the issues raised specifically to the ancient world (the omission from the bibliography of Polly Low's Morality and Power is particularly striking). This is an issue in relation to the question of motivation. In spite of the emphasis in Kralli's opening statement, 'on presenting overall patterns of action rather than motives and psychology because the former are less speculative, given the nature of our sources' (xxi), the narrative is pervaded by judgements concerning the likely motivation of state actors. These judgements appear to be based on quasi-realist assumptions of state interests and action which merit examination. The chapter for which the absence of this kind of explicit methodological framework arguably creates most difficulties, and the weakest chapter of the book, is the last. Chapter 9 is dedicated to a survey by site of the Hellenistic inscriptions of Peloponnesian states which cannot be slotted into the chronological narrative of the other chapters. Kralli attempts to read into this record - and, more problematically, into its apparent lacunae - the kind of narrative history of conflict and alliances which is the subject of her earlier chapters. However, the assumption that an honorific grant for an individual indicates or could only be made in the context of good relations between the granting state and the state to which the recipient belongs is hard to maintain (an important distinction needs to be made here between grants to individuals and grants to groups likely to represent an inter-polis delegation). Similarly, the attempt to read lists victors at the Olympic games and other festivals as evidence for interstate relations involves a chain of reasoning based on two difficult assumptions - that participation was driven by 'foreign policy' and necessitated good relations and that modern, composite catalogues of known individuals who won particular events can give us an accurate picture of participation and non-participation. Where synchronic analysis reveals patterns which are potentially significant - for example, the absence of citizens of Hermione from lengthy extant fragments of proxeny lists of Epidauros (426) or the tendency for Argive decrees to honour Arkadians (439) - a complex range of factors are potentially involved. These include the frequency of interactions between citizens of the two communities and the euergetical behaviour and motivation of the honorand alongside the desire of the granting polis to forge links. These remarks on the final chapter should not detract from the real achievement of the eight preceding chapters. In them the author has fulfilled her aim of producing a critical narrative history of the Hellenistic Peloponnese which will be one of the first points of call for students of these events for years to come. 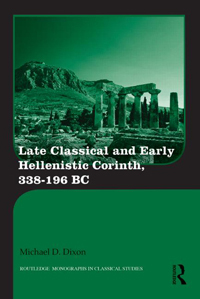 P. J. Rhodes / Robin Osborne: Greek Historical Inscriptions 404-323 BC, Oxford 2003, no. 82. Polly Low: Morality and Power. Interstate Relations in Classical Greece, Oxford 2007.